I have a dilemma. I can’t seem to choose whether to take a stand against sexism in aviation or whether to roll my eyes and ignore the topic altogether. I go back and forth. I sympathize with female aviation professionals who have been victims of sexism, but I sometimes get tired of complaints about how hard it is to be a woman in a male-dominated field. Today, there are no obvious barriers for a woman who wants to enter the aviation industry, and from what I can tell, we get paid just as much as our male colleagues. Clearly, though, many women have experienced blatant forms of sexism, and you don’t have to look far to see it. In one group of female pilots on Facebook, pilots give countless examples of times that they were victims of blatant sexism originating from both male and female coworkers and passengers. I get angry that this still occurs but I am grateful that, thanks to the courage of female trailblazers of earlier generations, it occurs less often today. Perhaps my failure to fully appreciate any level of sexism in aviation is because I have never been personally challenged by it. I have seen the stereotypes and heard the stories, but neither my career nor my morale has ever been seriously impacted by them. I have been fortunate; not everyone has been. No man has ever told me that women can’t fly airplanes or that my place is in the kitchen. I’m grateful to have been surrounded by people of genuine integrity and good character as I’ve navigated the aviation industry. Between my parents, my first supervisors, my flight instructors, my male peers, not one of them ever seemed to wonder why or how I could be interested in aviation, nor did they question my ability based on my gender. They didn’t look at me differently than any other flight student or question how I, as a girl, could possibly want to fly airplanes. They never treated me as if I had some sort of handicap, never blamed my screw-ups and struggles on my gender. Nor did they put me in the spotlight or give me extra attention because I was a girl. The idea that I might have some sort of deficit or face some kind of unusual challenge in the industry didn’t become clear until college. When I went to college, the idea that being a woman in a male-dominated industry would put me at a disadvantage was highlighted by comments from people about how hard it must be to be a woman in aviation, how I fly pretty well (for a girl), and by the multitude of scholarships set aside for women and minorities. Until that point, I really had no idea that I was supposed to be “struggling” as a woman in aviation. I think that for the most part, we’ve moved past blatant sexism and into a more inadvertent sexism like long-term stereotypes that will take time to diminish. It’s true that your average American still sees mostly tall, gray-haired men at the controls of airliners and they don’t consider that a short blonde woman like me could possibly be a flight instructor. I can’t count the number of times I’m met with a shocked look after telling someone that I’m a flight instructor. Often the response is, “Really? In real airplanes?” It’s amusing. And I’m often left wondering why people assume that I’m a stay at home mom, why people find it shocking that I’m a pilot today, in 2016, when at age 16 nobody seemed surprised at all that I wanted to fly. While we don’t intend to be, we’re all a bit biased. When we see a female pilot standing next to a male pilot, many of us by default will assume that the female holds a lesser title or somehow isn’t as educated as the man. This is clear during every cross-country flight I take as a flight instructor with a male student. We get out of the airplane after landing, go inside, and the person at the desk looks to the male student of mine and asks how much fuel he wants, how long he’s staying, etc. The new student will shrug and look at me, and I smile because it’s one more opportunity to tweak a common stereotype that women are always passengers. What I do know is this: Women could be welcomed into aviation more effectively. We could probably do a better job of exposing young women to opportunities in aviation. And we can each try to recognize and overcome the biases that we have. We don’t necessarily need to cater specifically to young girls, but we can take a long, hard look at how we respond to them. When we have Young Eagles Day at the airport, are we including the young girls as naturally as we are the boys? If a couple of kids are hanging out at the airport, are we offering rides to girls as well as boys? If a young girl is hanging out in your hangar, are you inclusive of her in the same way you would be of a young boy, with the idea that maybe she’s actually interested in building airplanes, or do you dismiss her because she has a doll in her hands? If a pilot’s girlfriend is hanging out in the waiting area, do you dismiss her as merely a passenger, or does it cross your mind that she might be a certificated pilot, too? As flight instructors and flights school employees, this is something that we can actually change. 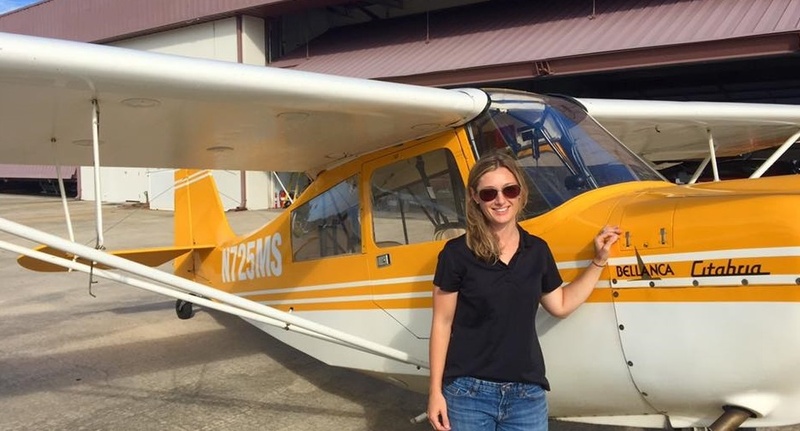 If we want to put an end to what’s left of sexism in aviation, if we want to remove what’s left of gender bias and stereotypes in aviation, it starts inside the walls of our own flight schools. We can all work harder at being inclusive and at checking our stereotypes at the door. Aviation has been good to me. I’m grateful for the men and women out there who have encouraged me along my aviation journey without doubting my skill or questioning my goals. This is how it should be. My experience has been better - easier, perhaps- than that of many other women, and I hope that that’s a sign of changing times. I hope that younger generations of women will not have to encounter the blatant sexism or the stereotypes that many of us have endured in the past. It’s a good time to be a woman in aviation, and it’s only going to get better.